Our Giant Playing Cards are a great way to jazz up your walls! Each card is made of cardstock and measures 25" high x 18" wide and is sold in a set of four. The backside of each large playing card has a blue design. 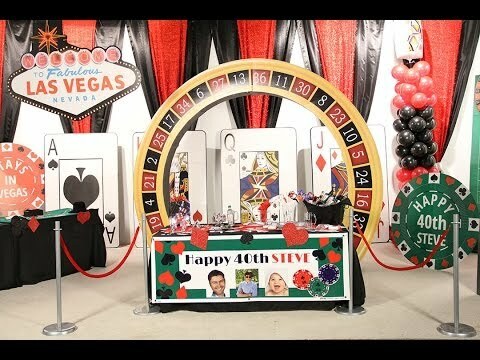 Use these Giant Playing Cards at any casino themed event to decorate walls. The Bandana Print Personalized Playing Cards features a fun paisley design straight from a western bandana. Each Bandana Print Card Case measures 2 1/2" wide x 3 3/4" high x 7/8" deep and includes a standard poker deck. These metal tins can be personalized with your own party info.